Don' t sacrifice style and warmth for convenience! 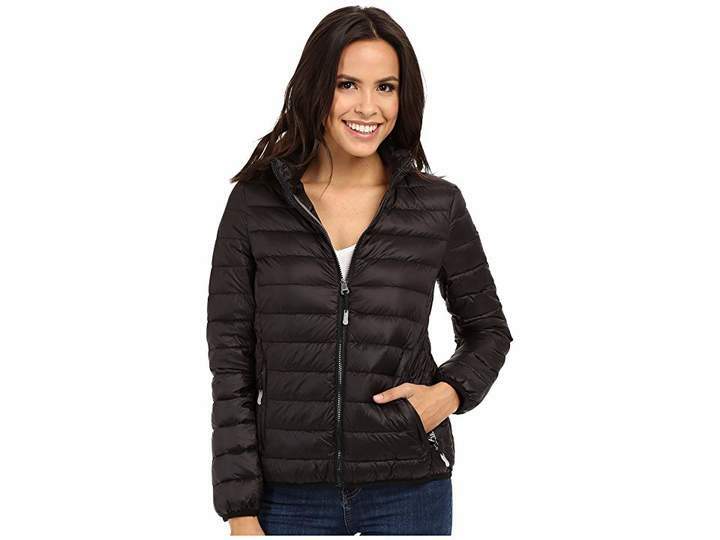 The Tumi Clairmont Packable Travel Puffer Jacket is a travelers dream accessory. Converts to a travel pillow through a hidden pouch in the collar. 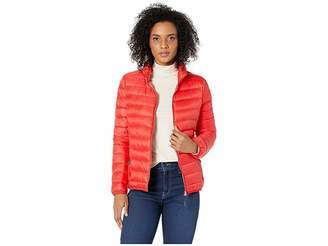 Made from lightweight water-resistant nylon and filled with down insulation it has engineered seams to give it shape plus hidden pockets and front double entry pockets with exposed zippers and contrast lining and piping details. 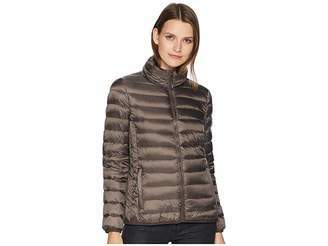 Horizontal-baffled body for a classic puffer look. Modern fit offers a trimmer more tailored silhouette. Fabric has been specially treated to protect against rain snow and other inclement weather conditions. Two-way front zip. Long sleeves with elastic cuffs. Two front hand pockets. Instructions printed on inside of jacket. Interior slip pocket. Fully lined. Body: 100% Nylon Fill: 90% down 10% feathers Lining : 100% polyester. Machine wash and tumble dry low. Imported. Measurements: Length: 25 in Sleeve Length: 32 in Product measurements were taken using size SM.